Enjoy your garden or backyard even more when birds come to visit! Grab your coffee and sit out on the deck to watch them come and explore our Amish Poly Double Bird House! 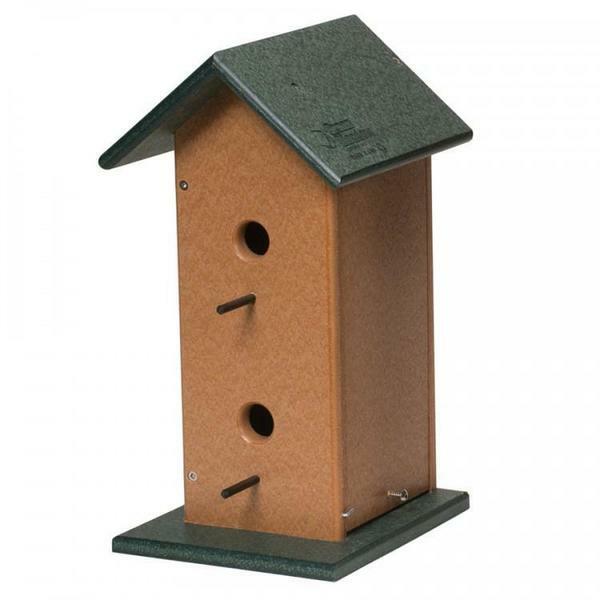 Our bird houses are made of eco-friendly Poly Lumber. The colors will not fade and Poly Lumber is easily cleaned with soap and water. Consider our Trio Bird House for a larger option or to pair with this one!